The year is 2001. I am a newly minted high school junior. I have a driver’s liscence and a car. I have two inseparable best friends. I have just quit my oppressive library shelving job as well as the tennis team. After seeing a book cover in a few magazines of choice – I am REALLY into magazines – I hunt it down and read it. And am face to face with myself. 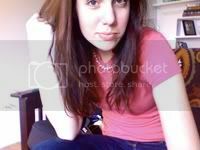 Jessica Darling lives in rural New Jersey. I lived in rural New Jersey for thirteen years! Jessica Darling is positively DISTRAUGHT when her best friend moves and leaves her, connected by letters. I was left by my best friend, and we corresponded for years. Jessica Darling is sarcastic, witty, and such a cynic. I am sarcastic, occasionally witty, and despite my best efforts, remain a cynic!! Jessica Darling is a Brain in a school full of idiots. I am going to graduate valedictorian, and have been referred to by more than one classmate as That Smart Girl!!!! Jessica Darling’s middle name is Lynn. Sloppy Firsts is about Jessica Darling, a high school sophomore whose best friend, Hope, has moved to the Midwest after her brother dies of a heroin overdose. Jessica is left alone, friendless except for a crew of bubbly, backstabbing cheerleaders and Scotty, her two-week-8th-grade boyfriend who still holds a candle. Her parents wish she was more like her older – and more vapid – sister, she hates the track team but runs every night to fend off insomnia, and she’s so stressed her period has left the building. Only a strange relationship with the class druggie/man-whore – and best friend to Hope’s deceased brother – soothes her nerves, while simultaneously threatening any life-balance Jessica has left. I fell in love with the book hard and fast. I had my own copy by Christmas. I could tell you the publication date for the second book. 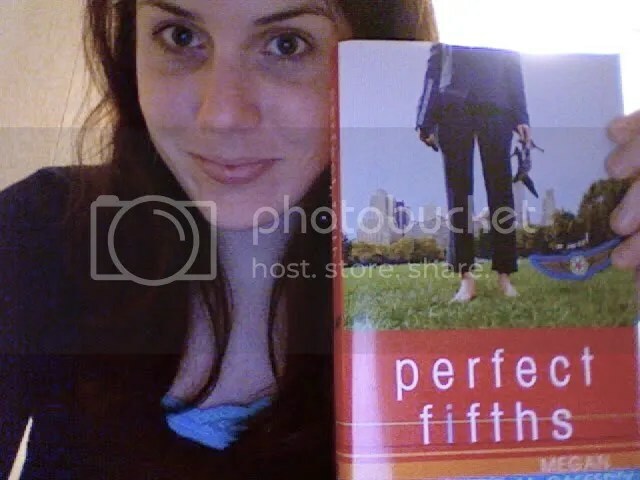 When I stumbled across Megan McCafferty’s professional bio on her website, I was stunned to find a snippet from my own, imagined CV: a high achieving student, working as a magazine editor and writer for YM ( I think), Cosmo, until she decided to write crossover books for teens and adults. So I did what any fan-girl at the cusp of the Internet-era would do: I sent her an email expressing my admiration for her work, my uncanny similarities to her book’s heroine, and asking her career advice. I was stunned when I got a personal response. The author of my Newfound Favorite Book wrote ME an email! She gave me sound career advice that I did not take (go to New York to get into publishing, or whatever city will support your job choice – much more important than your particular major), and although I am GLAD I did not pursue my high school career fantasies of Being Megan McCafferty, I still remember that email fondly. Fast forward to the summer of 2003. Jessica (me, not Darling), is about to graduate. She has one less best friend, a long distance boyfriend, a college scholarship, a minor part in her school musical and enough stress to sink a few ships. Instead of waiting for the library to stock the sequel, Jessica drives herself to the bookstore and secures her very own copy of Second Helpings, and digs right in. Second Helpings: Having determined that her ill-fated “relationship” with Marcus was a Huge Effing Mistake, Jessica Darling hopes to spend the rest of her life avoiding him – starting with a summer writing program and ending when he fails to show up to the first day of Senior Year. Instead, Jessica struggles to make her college choice – go with her parent’s wishes to keep her out of a post 9-11 NYC or sneak into Columbia? But when Marcus returns just in time to make friends with her new boyfriend, she can’t avoid Marcus – or her feelings – any more. One thing I love about this series is the intentional throw-back feel of the narrative. Ms. McCafferty has stated that she wanted to write a book that felt like a John Hughes movie, and guess what? This girl likes John Hughes movies. The ending of Second Helpings is just as magical as any 80’s classic in a way that is so-romantic, it can only be found in teenage life. There was a long haul between books 2 and 3, but worth the wait. Jessica was finishing her final week of her third collegiate year, hanging on by the slightest of threads. There were two concerts to perform at. There were papers to stay up all night writing. There were exams to kill her off. She would be leaving for a weeklong writing course on an island in the middle of Lake Michigan. And there was a boyfriend she had broken up with, but hadn’t left behind. Somewhere in there was the release date for Charmed Thirds. Shortly before this whole debacle, Jessica and her soon-to-be-estranged boyfriend went to her local independent bookseller to procure a copy, only to find out they’d never heard of the series and of course had not purchased any copies. So exams happened. She made it until Thursday afternoon, where she sat at her desk at work and made plans for the evening – it was a gorgeous day, and she was DONE! There would be drinking, she thought. She would be going out to the bar for one last night with her ex-boyfriend and some mutual friends. He was not returning to school the next year. Of course she would go out with him. She emailed him about the plans, and he showed up fifteen minutes before the end of her shift. “Wanna go to Midland?” he said. Well that’s certainly one way to a girl’s heart. It was all a charming ploy to get back into her good graces, she realized later, as he suggested they also take in a matinee showing of Stick It, but it worked. She had her book. She read it mostly while on Beaver Island, when she wasn’t busy mulling over her boyfriend dilemmas, writing short-short stories about lighthouses, or napping with her forehead up against a van’s window. When she went back for a re-read, long after reuniting with the boy, she counted 5 dead gnats squished upon the pages. Charmed Thirds is probably my favorite volume of Jessica Darling’s life. Marking a departure from the usual format – Jessica only writes during her school-breaks – as well as the familiar high school landscape, this is a book about growing up and finding your own way. Her collegiate adventures are varied – an internship that seemed perfect but turns out to turn her stomach, how to be a long-distance girlfriend to someone who doesn’t have a history of keeping it in his pants, and how to find friends and security in a city that would rather you have neither? Can you come out of college ahead, even if you’ve lost everything you thought you wanted? The last chapter of this book brought me to tears. Granted, I was going through a similar College Relationship Struggle, but when I read it again, when the waters had cleared somewhat, I cried again. August 2007. Jessica is a newly minted college graduate, and has just found a Real World Job (albeit part time). Things with her boyfriend are getting rocky again – oh, the differences between a Type-A-Female-College-Grad and a Free-Wheeling-Male-Still-In-College – and she is more than ready to sit down with her literary friend, Jessica Darling, for a reunion. In Fourth Comings, Jessica is living The Life – she’s working (albeit struggling to pay rent) in The City, living with her best friend, Hope, and Marcus is back in the same time zone. But maybe their relationship isn’t quite in synch – when Marcus proposes, Jessica finds herself at a loss. Can she be a wife when her life feels so far from Settled Down? Shouldn’t she be jumping for joy at this point? Can her life in the city slow down enough to be committed to a 20-something who’s just NOW starting college? Needless to say, I was feeling JD’s pain. But was so happy to find out that even though Ms. McCafferty threatened every book to be the last – and it seemed that she wrote books 3 AND 4 with this in mind – there would be a fifth. Which brings us to the present. Not much has changed for Jessica-Me in the past year and a half, including my desire to run out and buy The Next Jessica Darling book on Day One. Jessica has finally surpassed me in age and experience. I have been the high school brainiac. I have felt far from my friend even when I am near them. I have been the long distance girlfriend, the confused collegiate, the surly friend. 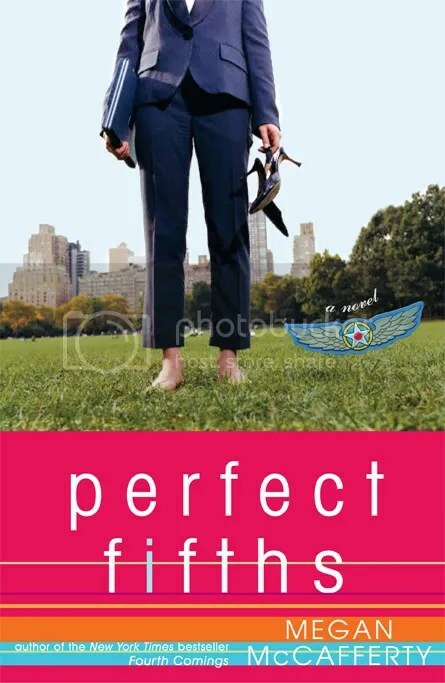 Perfect Fifths: After a long separation, Jessica and Marcus are reunited in the most inopportune way – Jessica is late for a plane, Marcus is on his way home, and neither of them have spoken or seen each other for ages. They are far from the teenagers they were when they met, but the anxiety upon meeting brings it all rolling back, to both of them. This book was Out There in terms of format – Third Person?? Inside Marcus Flutie’s head??!!??? Haikus???!! I didn’t think I would love knowing Marcus from the inside out. But I loved it. I didn’t think I was much of a Jessica-Marcus fangirl. Maybe my descriptions haven’t made it clear, but these books are about A LOT more than just Jessica and Marcus and their tangled relationship. It’s about Jessica and her parents and how they fight to communicate and understand one another. It’s about how even Hope, her best friend, can surprise and sadden her. It’s about how the girl you never thought you would really like – Bridget, the pretty, popular one – is really a complex human being and it’s YOUR fault for not adequately realizing her. It’s about what happens to all of Jessica’s high school friends. It’s about Jessica’s sister, the ditzy, blonde Bethany. It’s about Len Levy, the nerd turned Jessica’s first real boyfriend turned spurned lover. It’s about how your whole life unravels in front of you, and only makes sense looking back. And did I mention THEY ARE LAUGH OUT LOUD HILARIOUS!?? It’s not just about Jessica and Marcus and OhMyGodWillTheyGetTogether?!? But I didn’t realize how much I’d invested in the two of them until Perfect Fifths. I’m sad that there will never be another Jessica Darling book, but I’m happy I got to see her on into adulthood. I’m happy that, unlike me who is still stuck between Book Four Jessica and Book Five Jessica, our heroine finally found a place for herself in the world. I’m happy I’m free to read and reread and reread until I get cataracts and can’t see. This series will always be one I emulate, one I aspire to, and one I hold near and dear. Thanks, Megan. It’s been a fun ride. I want to see your name in the back, too! Screenshot! Explanation! I’ve never heard of these books but I’m thinking that I’ll be walking over to Borders during my lunch hour to purchase the first book. I have a soft spot in my heart for young adult fiction and these sound right up my alley. So cool that you have such a connection with this book as well as the author. I’m pumped to read these!